A new homeopathy clinic in Kalinagar, West Bengal is bringing medical relief to villagers there. People face the problem of not having a local medical facility or permanent health care practitioner. A journey to see the doctor is far. 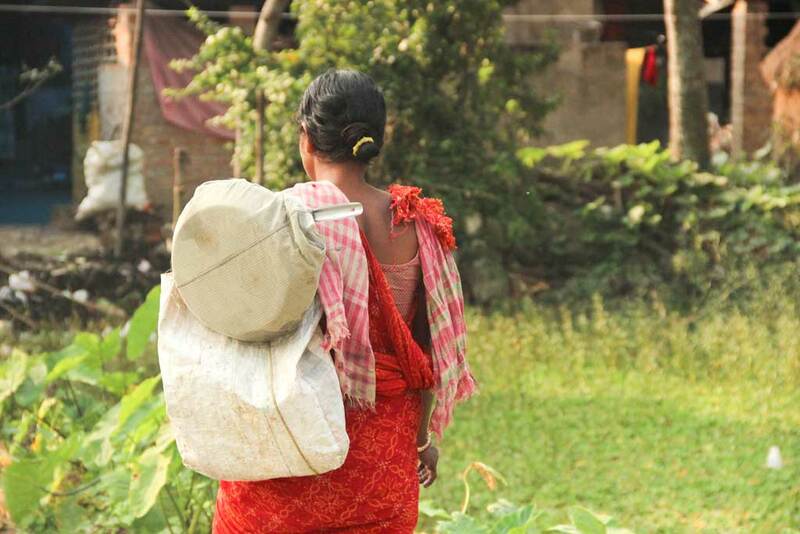 In addition, families are short of money, as most of them make a living by working in fields for daily wages. Dr. Geeta Menon, who is a devotee of Amma, has a Bachelor of Homeopathic Medicine and Surgery from Calcutta University. She has started to visit the village once a week to give free treatment and medicines to patients there. Since Dr. Menon began her visits in April, the access to health care has made a huge difference. She has been able to address many difficulties, including colds, fevers, skin problems, fibroids, piles, arthritis, and for women, gynecological problems. 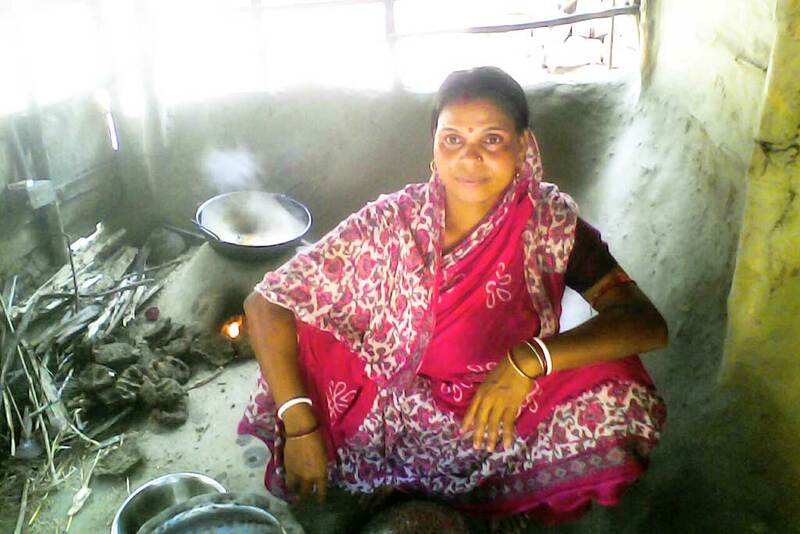 Sanaka Naskar suffered from chest pain and a burning sensation in her hands. Sanaka Naskar is a 32-year-old woman who had been suffering for a long time from a burning sensation in her hands along with chest pain. She has found tremendous relief from the medicines given by Dr. Menon. A three-year-old girl, Ayantika Naskar, had a severe skin allergy a few months back. Now her mother, Alo Naskar, confirms that she has been completely cured through the homeopathy treatment she received from Dr. Menon. Three-year-old Ayantika Naskar with her mother, Alo Naskar. Dr. Menon cured her skin allergy. 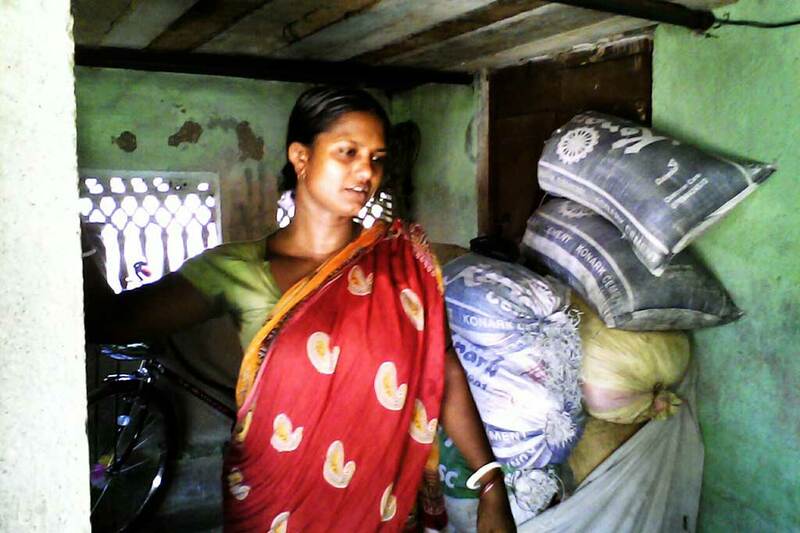 In another case, Namita Mondal, a woman of 37 years, had a hyperacidity problem that has now been cured. There have also been village elders who had arthritis that gave them severe joint pain. Through Dr. Menon’s treatment, the pain is diminishing. On average, Dr. Menon sees 20-25 patients with every single visit to the village. Her clinic caters not only to the people of Kalinagar, but also people from neighbouring villages who have heard about her success and wish to come. 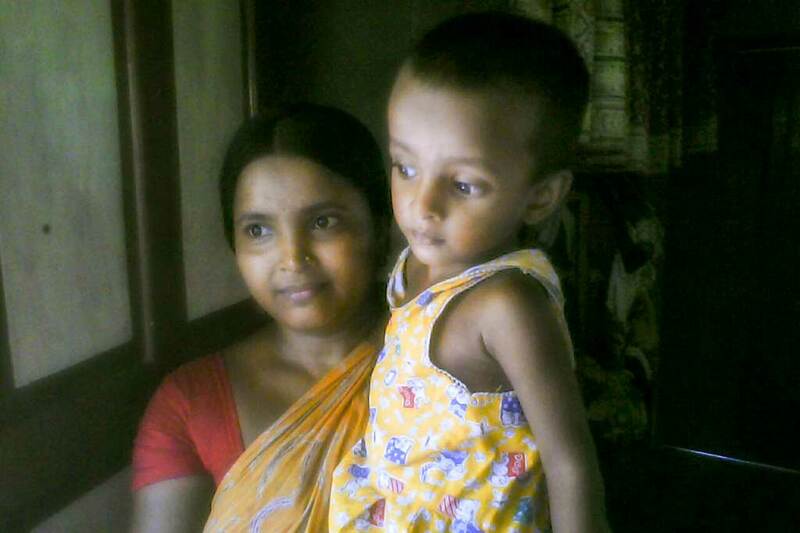 Dr. Menon cured Namita Mondal's hyperacidity. In general, villagers showed great appreciation and gratitude for Dr. Menon’s homeopathic treatments, confirming that they have benefitted with the relief and cures. 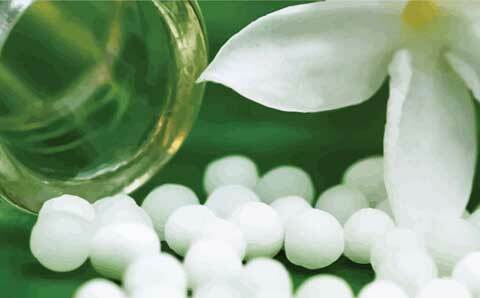 There is most definitely a sentiment that the homeopathic clinic should continue. Under the guidance of Br. Vijayamrita Chaitanya, the MA Math Kolkata plans to do so. The Math is also supporting medical camps and awareness programmes that improve health and hygiene conditions in the village.